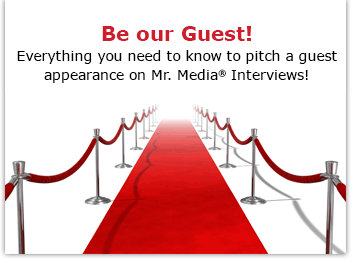 Mr. Media is recorded live before a studio audience of small business owners who hope JJ Ramberg will one day immortalize one of their great ideas on her TV show… in the NEW new media capital of the world… St. Petersburg, Florida! 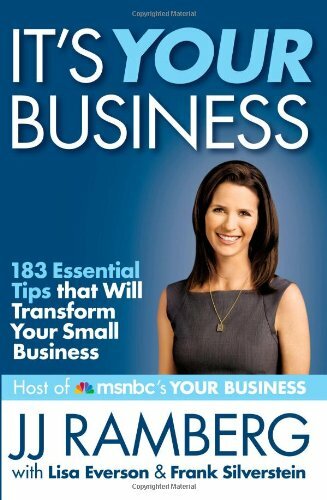 Order ‘It’s Your Business: 183 Essential Tips that Will Transform Your Small Business’ by JJ Ramberg, available from Amazon.com by clicking the book cover above! But if you want to skip to the raw meat, I always recommend Guy Kawasaki’s Reality Check as a must-read. And today I’m adding a second title to that list: JJ Ramberg’s It’s Your Business: 183 Essential Tips that Will Transform Your Small Business. As the host of MSNBC’s useful, fast-moving Sunday morning business show (since 2006), “Your Business,” JJ and the show’s staff have interviewed hundreds of entrepreneurs. They’ve collected the essence of their best tips and ideas in this new book, which is as fast and breezy a read as anyone can ask. The book, co-authored with the show’s Lisa Everson and Frank Silverstein, is a rapid-fire series of one- and two-page directives that will make any business better. Read the book cover to cover or isolate a few tips at a time; like Kawasaki’s book, you’d be an idiot to pass up such low-hanging fruit. As for JJ, in addition to hosting her MSNBC show, she and her brother, Ken Ramberg, are the co-founders of GoodSearch.com, a search engine that generates support for non-profits.